The International Film Music Critics Association (IFMCA) announces its list of winners for excellence in musical scoring in 2014, in the 2014 IFMCA Awards. The award for Score of the Year goes to composer Hans Zimmer for his work on the Christopher Nolan-directed epic science fiction odyssey “Interstellar”. 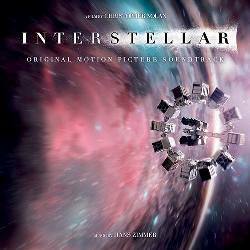 IFMCA member James Southall called the score “one of the most impressive creations of Zimmer’s career” and felt that the film “inspired him to create something unusually personal and about which he is understandably proud,” while IFMCA member Kaya Savas called Interstellar “one of Hans Zimmer’s finest accomplishments as a composer”. This is the third IFMCA Award of Zimmer’s career, and the first time he has been awarded Score of the Year. French composer Alexandre Desplat was named Composer of the Year, for his astonishingly accomplished work on a half dozen scores spanning multiple genres; his work in 2014 included the blockbuster monster movie “Godzilla,” director Wes Anderson’s quirky comedy “The Grand Budapest Hotel,” the critically acclaimed biopic of British code breaker Alan Turing “The Imitation Game,” and the George Clooney-directed WWII drama “The Monuments Men,” all of which were nominated in their respective genre categories. The score for “The Grand Budapest Hotel” was also named Best Score for a Comedy Film. These are the tenth and eleventh IFMCA Awards of Desplat’s career, and it marks the fourth time he has been named Composer of the Year, following his previous wins in 2006, 2007, and 2010. The IFMCA’s ongoing recognition of emerging talent in the film music world this year spotlights British composer Mica Levi, who was named Breakthrough Composer of the Year. Levi, who is best known as a singer/songwriter with her band Micachu & The Shapes, impressed IFMCA members with her debut score for the art-house science fiction drama “Under the Skin”. IFMCA member Alan Rogers called “Under the Skin” “a complex and carefully thought out score”. The various other genre awards were won by Marco Beltrami for director Tommy Lee Jones’s dark, bleak Western drama “The Homesman”; Christopher Young for the epic Chinese action adventure “The Monkey King”; James Newton Howard for Disney’s re-imagining of the classic Sleeping Beauty fantasy “Maleficent”; and Danny Elfman for his music for the political documentary “The Unknown Known”. In the non-film categories, Argentine composer Federico Jusid won the award for Best Original Score for a Television Series for the second year in a row for his outstanding work on the third season of the Spanish historical TV drama “Isabel,” while composers Geoff Knorr, Griffin Cohen, Michael Curran and Grant Kirkhope won the award for Best Original Score for a Video Game or Interactive Media for their stellar work on “Sid Meier’s Civilization: Beyond Earth”. La-La Land Records won the Film Music Record Label of the Year category for the fifth straight year, solidifying their position at the top of the list of labels specializing in lovingly restoring the greatest film music of the past. However, both Archival categories were won by releases from Oakland, California-based Intrada Records and producer Douglass Fake; firstly, in the Re-Release or Re-Recording category, for their landmark release of the classic 1954 score for “On the Waterfront” by Leonard Bernstein; and, secondly, in the Compilation category, for their wonderful box-set of the legendary recordings Elmer Bernstein made for the Ava label between 1962 and1965, which include his masterwork scores for films such as “Walk on the Wild Side,” “The Carpetbaggers,” “The Caretakers,” “Baby the Rain Must Fall,” and “To Kill a Mockingbird”.